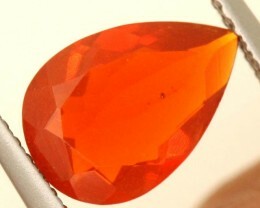 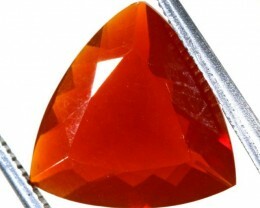 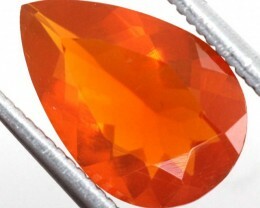 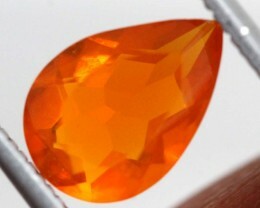 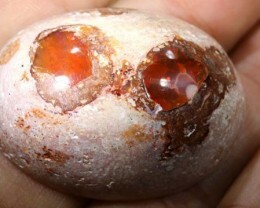 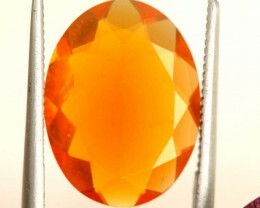 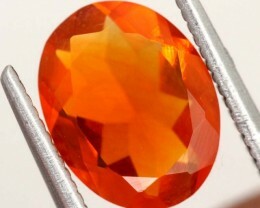 Mexican Fire Opals formed in white to soft-tone brown potch are known for their beautiful orange crystals. 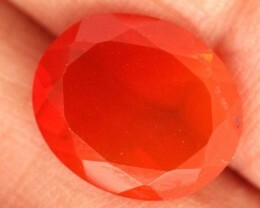 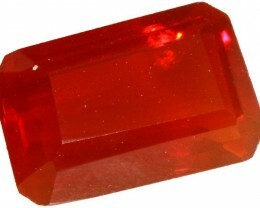 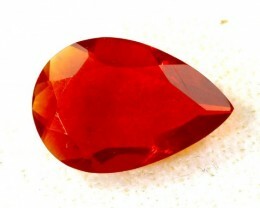 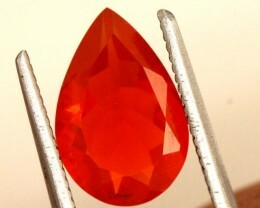 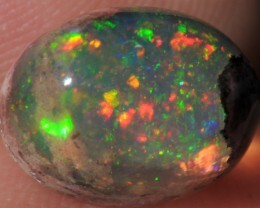 They make good cabochon opals. 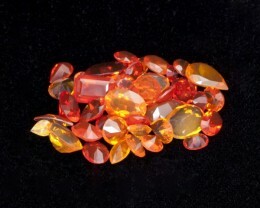 Canterra Matrix Mexican Fire Opals are fiery opals that the Mayans and Aztecs used in mosaics and rituals. 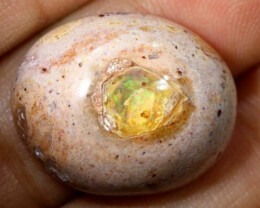 They called them “quetzalitzlipyollitli,” or the bird of paradise. 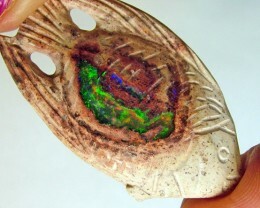 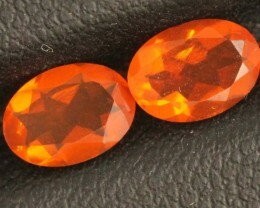 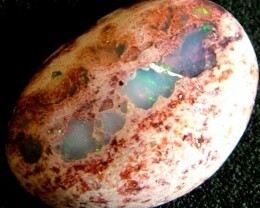 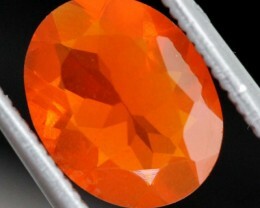 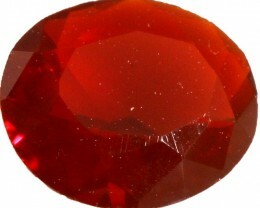 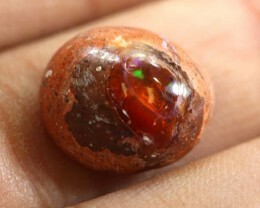 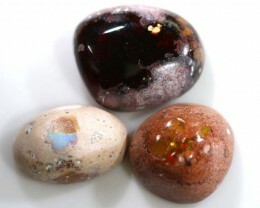 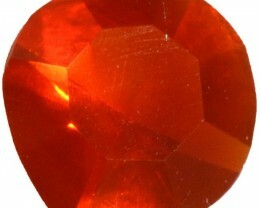 After these ancient civilizations, it wasn‘t until 1835 that Mexicans rediscovered these beautiful Mexican Fire Opals. 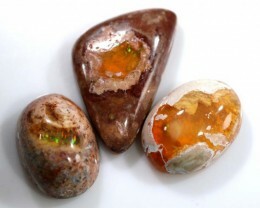 Mexican Fire Opals are found in rock strata running through mountain areas where there are many extinct volcanoes and opal veins are found in cracks or joints and cavities. 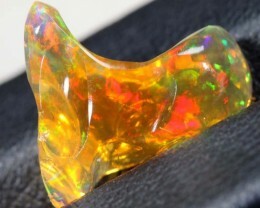 Contra Luz is a special characteristic of Mexican Fire Opals where the brilliant play of color can be seen when light shines through the opal as it is transparent. 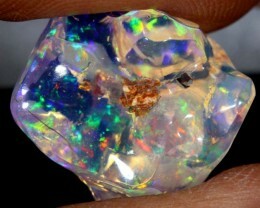 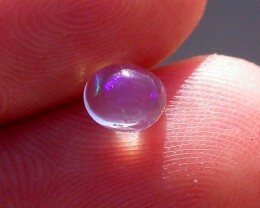 This is why Contra Luz Mexican Fire Opals are ideal opals to facet. 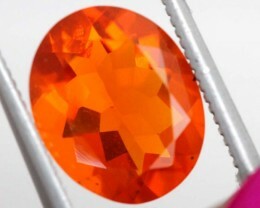 The name actually means “Against The Light”. 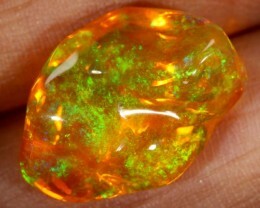 Legend has it that Mexican Fire Opals pass courage, will-power and energy on to the wearer and the fire opals and that the colors give confidence to the wearer.